Have you heard the news? Magic is returning to the world. It’s happening right now, all around us! Twelve-year-old Shell Wakefield is having a great time with her cousins at her new home on Yonder Island. But when she discovers that the monstrous Green Knight from myth is hunting her, she realizes that far more exists to her life than she ever could have imagined – including superheroes, a universe-shattering destiny, and a friendship with Leaves the Red Fox! 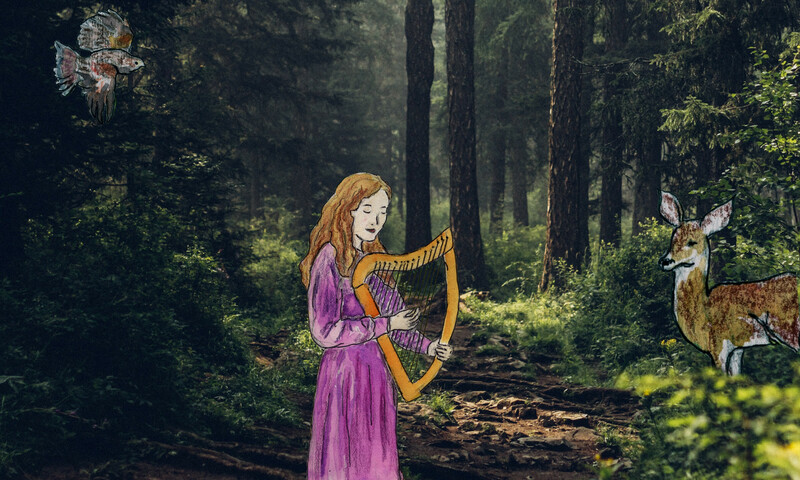 Full of mischief and mayhem, this children’s fantasy novel weaves threads of Celtic lore, plant and tree magic, animal tracking, superhero fun, mythic beings, and much more. The enchanted forest is closer than you think! Because Of The Red Fox is a children’s fantasy novel for ages 10+ (we know kids as young as 8 years old who enjoy it, and plenty of grown-ups who do too!). Available in Trade Paperback and Ebook (mobi, epub, pdf) formats. 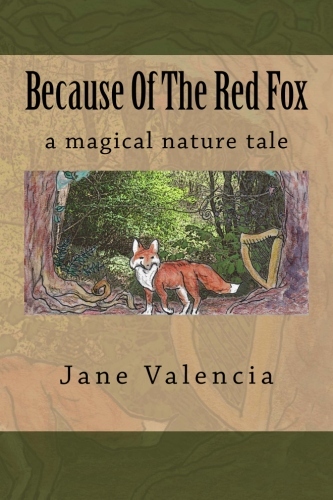 “When Shell visits her cousins on a magical island, she meets a red fox who takes her on an odyssey of discovery in which she uncovers mystery and history and the secret hidden in her own family. Beautifully written, funny and sweet. Download a free three chapter preview of the book. Because Of The Red Fox fun continues in our FoxTales blog. Check it out! Want to read the full review by Kristine Brown of this book? You can read the full review at Herbal Roots zine – an ezine for kids (you’ll be sent to their website, but do come back! ).